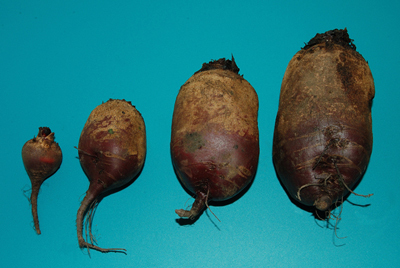 The odd shapes and sizes of the beetroot remind me of the Evolution of Man diagram. But it doesn’t matter what they look like because this bunch is destined for the juicer. I’m not fond of eating beetroot, but raw beetroot is one of my favourite ingredients for juicing. It makes a gorgeous purple juice, but be warned, after drinking it you will be peeing purple the next day! Juicing brings out the natural sweetness of beetroot, especially when mixed with other sweet fruit or veg such as apples and carrots. The book Super Juice by Michael van Straten has ten recipes using beetroot. I’m going to choose the simplest one, ‘beet treat’, which will also use the carrots that are mounting up in the fridge. Because the vegetables in the veg boxes are organic and free from chemicals I will juice them whole. Most vegetables hold valuable nutrients in their skin, but non-organic vegetables can also store the chemicals of farming in their skin. When juicing non-organic fruits and veg it is best to cut off the tops and tails, and peel the skins. We take in enough pollutants and chemicals from the environment and processed foods without adding to the toxic burden. UPDATE: Since I wrote this, I’ve done a bit of juicing and have another tip. The more veg you juice with the skin on, the more pith will get in the juice (depending on the type of juicer you have). My juicer is pretty good (you can find the latest version of it here), but after juicing seven items all with the skin on there was still quite a bit of pith. My suggestion is to peel/slice off the thickest, roughest bits of skin so you get a smoother juice. Also, to get the best quantity of juice, use veg that is as fresh as possible. Older veg give less juice. The celery is bendable, it isn’t the crunchiest and the weather’s a little too cold for salad, so I decide that this bunch is destined for the juicer. Half a bunch of celery, three apples and two cloves of garlic later I have a juice that may look like a urine sample but tastes a whole lot better! I love garlic and the mixture of celery, apple and garlic is seriously good. Now I’ve worked out what to do with the celery, I rummage out that pack of cooked beetroot. Beetroot in a chocolate cake?! I still have a problem with cooked beetroot! I feel the trick is to find a recipe that disguises the texture and taste as much as possible. The result of my search is a chocolate cake, fancy that! Put ‘chocolate beetroot cake’ into any search engine and numerous variations of this recipe will come up. This is the recipe I tried, but there are several more chocolate beetroot cake recipes on the same site so have a look around. The result of my endeavours is a lovely smooth, basic chocolate cake with a slightly crunchy top – mmm. It’s not the sweetest chocolate cake I’ve ever tried but it has a good homemade taste. It would definitely be better swathed in chocolate icing of some sort or served with warm custard or hot chocolate sauce! Oh, and if you wondered, it doesn’t taste of beetroot at all, but it’s nice knowing that there’s more nutrients in this than in your average chocolate cake. I am more than half way through my veg box week and there’s much more than half the veg still left. I think it takes a little time to get used to changing the way you eat. The raw beetroot was always destined for the juicer, so I grab a few more ingredients – 2 carrots, 3 apples, 2 inches of ginger and a lemon – and get to it. 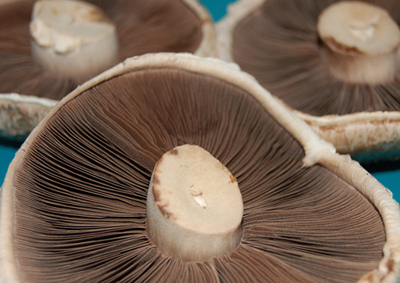 Because the veg box ingredients are organic, they don’t need to be peeled or topped and tailed when you juice them. This is good because a lot of the nutrients can be found in the skin and by using organic you can make sure you’re getting them all. On the other hand, the skin of non-organic produce can collect pesticides and other chemicals that are used in their farming, which is why it’s best to peel and slice it off. After a bit of chopping, the juice is ready in a whizz and has a fantastic deep rich colour. It tastes sweet with a lemon and ginger spice after-kick. Very nice. Again, this recipe is mostly the result of searching the internet, but I turn to my favourite juice book, Super Juice by Michael Van Straten to find out more about the ingredients. According to this book, beetroot has long been seen as a blood improver and in parts of Eastern Europe it is even used in the treatment for leukemia. This could be in part because beetroot is a useful source of bioavailable iron and contains folic acid, both of which are good for the blood. It has also been shown to increase the uptake of oxygen in the cells. Beetroot is not only good for those who are in need of a tonic for the blood it is also good for those with high blood pressure. An article in the magazine eFood reports that researchers at Barts and The London School of Medicine have discovered that drinking just 500ml of beetroot juice a day can significantly reduce blood pressure. As I glug it down, I can almost feel the excitement in my blood, which can’t wait to absorb all those nutrients. I could definitely do with more of this.